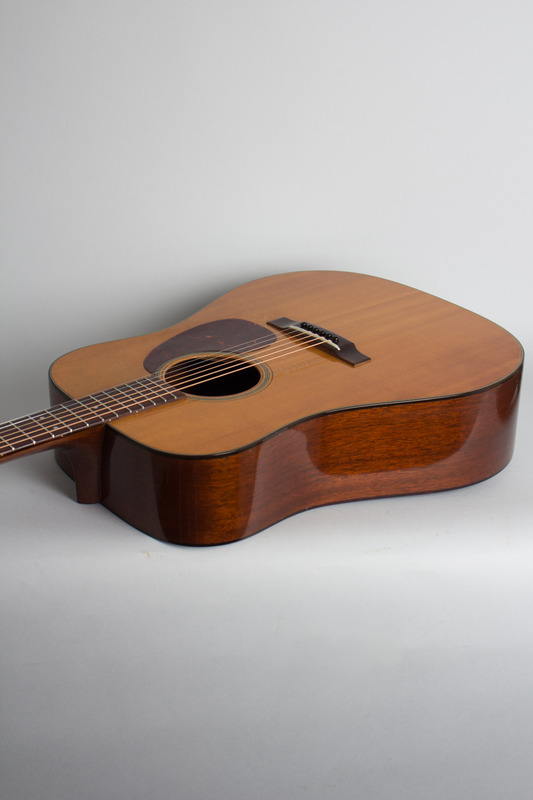 C. F. Martin D-18 Model Flat Top Acoustic Guitar (1951), made in Nazareth, PA, serial # 120677, natural lacquer finish, mahogany back, sides and neck, spruce top, rosewood fingerboard, black hard shell case. 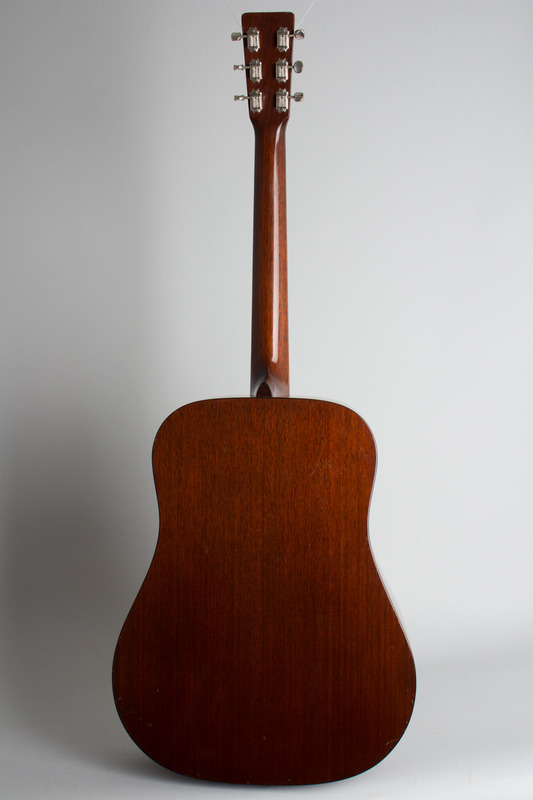 Overall length is 40 3/8 in. (102.6 cm. 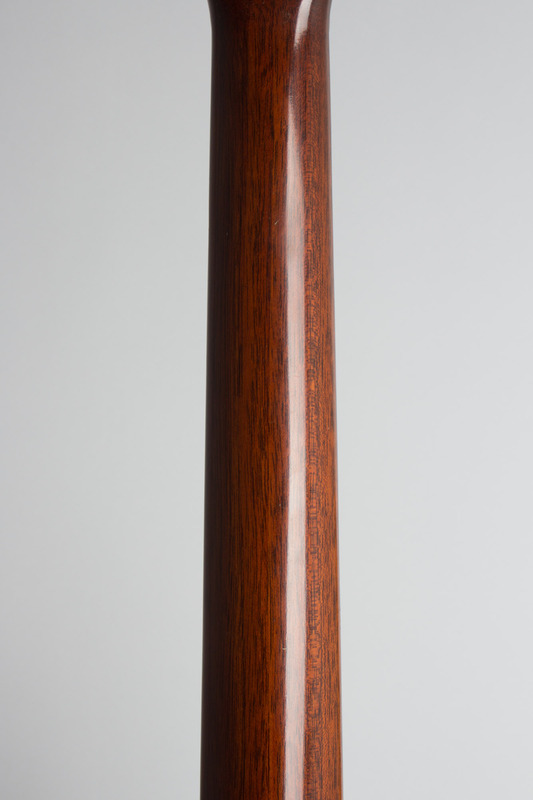 ), 15 3/4 in. (40 cm.) wide at lower bout, and 4 7/8 in. (12.4 cm.) in depth at side, taken at the end block. 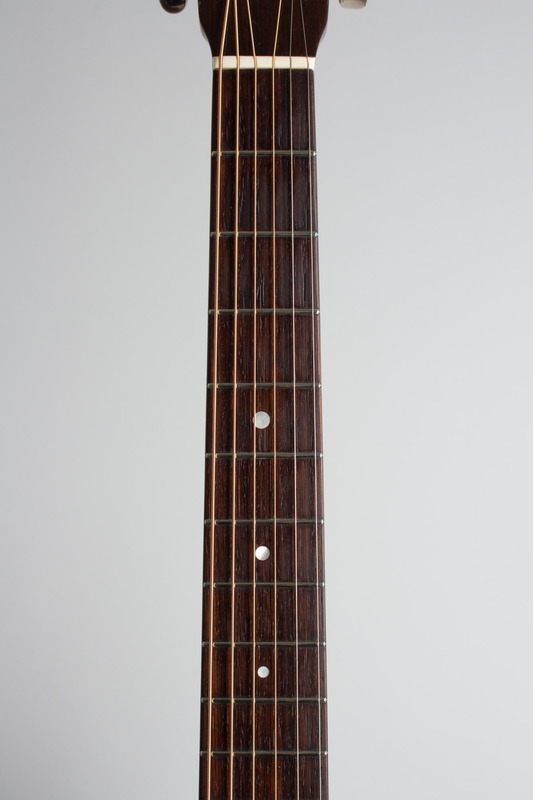 Scale length is 25 1/2 in. (648 mm.). Width of nut is 1 11/16 in. (43 mm.). 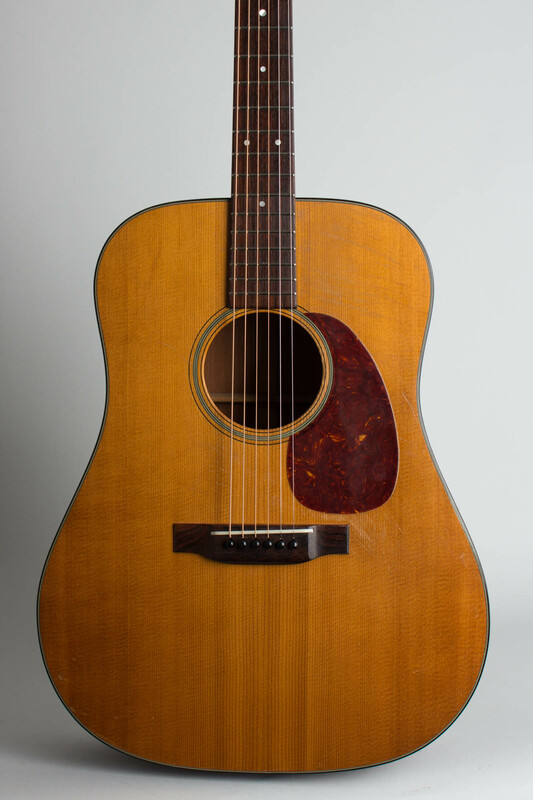 This is a beautiful, crack-free example of one of the world's classic flat tops-an early '50's D-18. 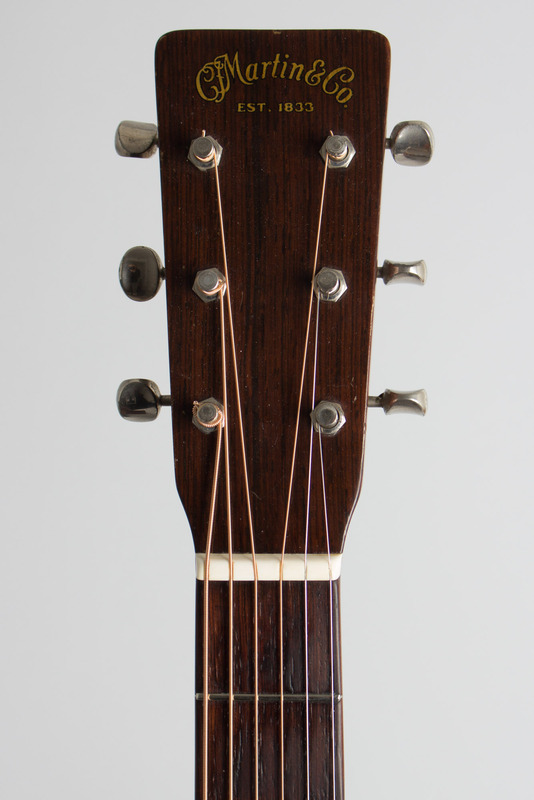 There is some pickwear to the top mostly into but not through the finish around the fingerboard and some deeper pickwear near the bridge and above the low E string. 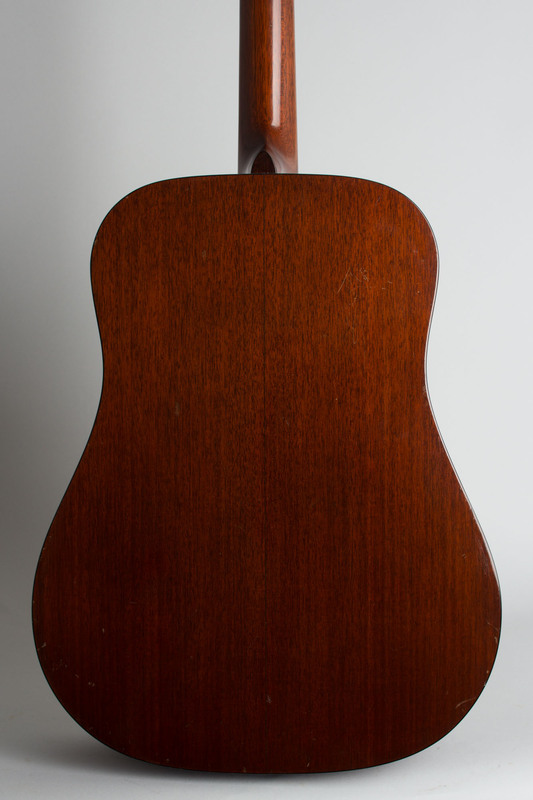 The back shows some dings and dents but there is not too much other wear; small dings and some light scratching overall but compared to many period D-18's this is a very clean guitar. 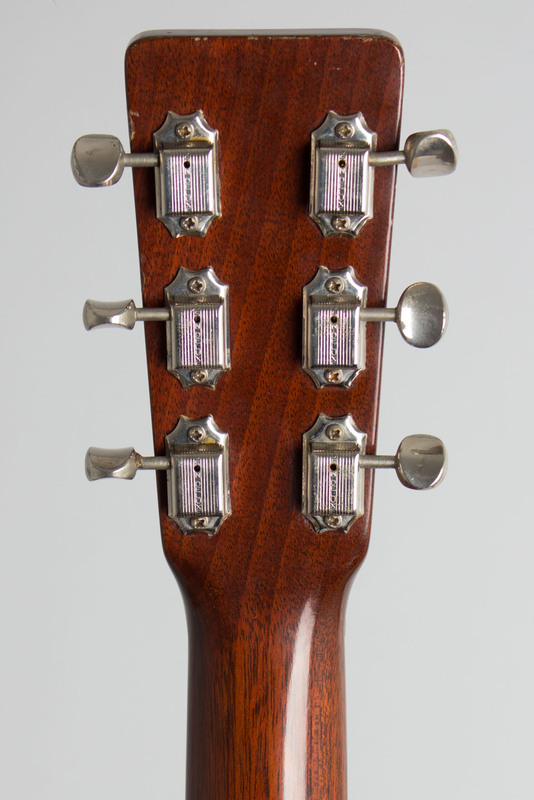 The original early-pattern Kluson deluxe tuners are bright and shiny and work well. The back of neck is very clean and this is an excellent player with a recent neck reset and a correct style refret. 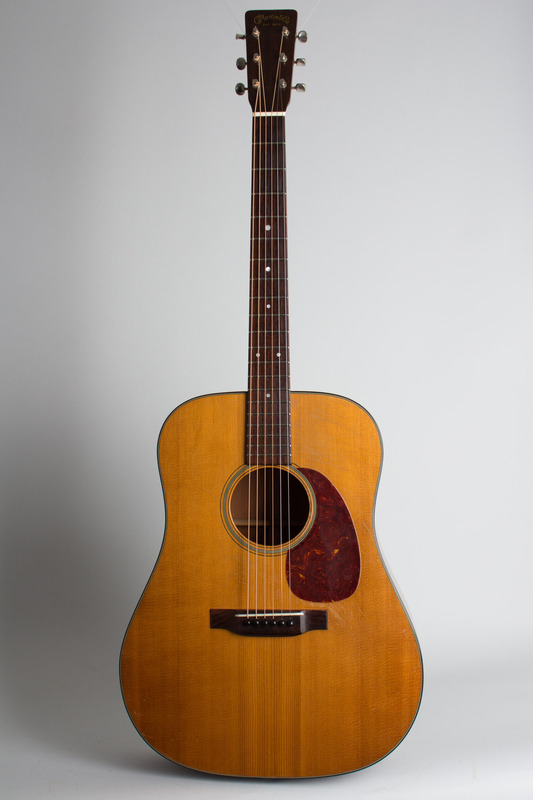 This is a very fine playing and sounding D-18, better preserved than many. Overall Excellent - Condition.